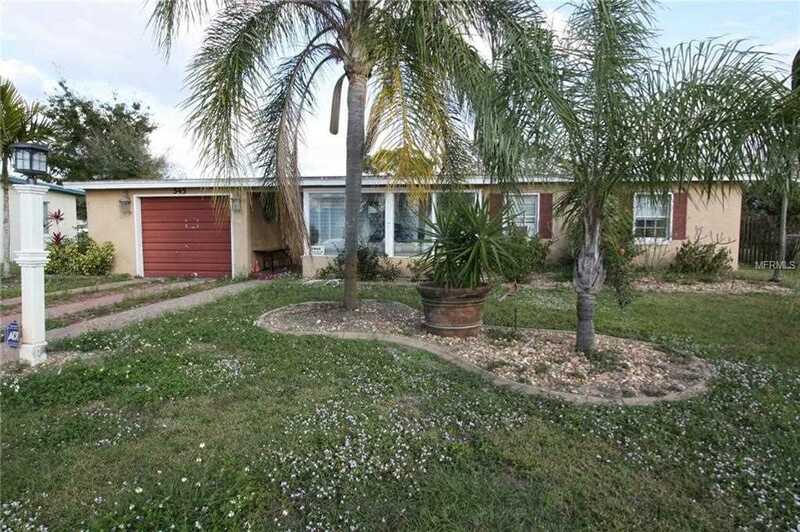 ** Multiple Offers, Highest & Best due by 2-12-19 at 2:00 PM ** A boaters paradise. Offering quick powerboat water access to Charlotte Harbor and the Gulf of Mexico with this 3/1/1 home. Centrally located in the heart of Port Charlotte on public water and sewer. This home needs tlc and with elbow grease this could be ready to enjoy the Florida water lifestyle. Property features 75 ft of waterfront with a dock/lift, updated kitchen with stone counter-tops and breakfast bar, a bonus florida/family room, an enclosed front porch offering versatility, traditional saltillo tile throughout, a tiled tub/shower combo, updated electrical, inside utility room, storage space in the garage, hurricane protection, and much more. You'll love the convenience to US-41, I-75, restaurants, grocery stores, the local mall, and hospitals.....all of which are close by. Lot Size: 0.24 Acres / 10393 Sq. Ft. Directions:US-41, west of Easy Street, left on Palmetto Dr., home will be on the left. SchoolsClick map icons below to view information for schools near 545 NE Palmetto Drive Port Charlotte, FL 33952. MFRMLS data last updated at April 20, 2019 9:30:30 PM PST.